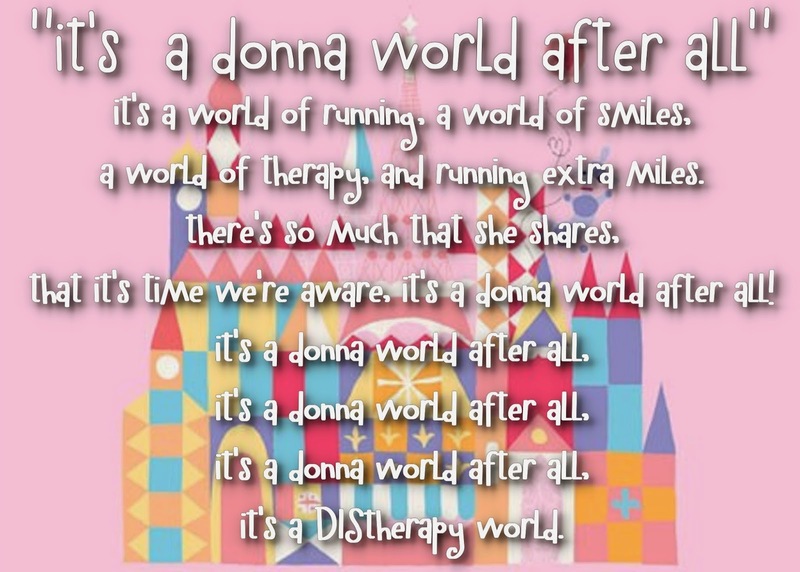 I have a beautiful and sweet friend who is having a birthday today, Donna from DIStherapy. She shares that birthday with Disney's legendary attraction it's a small world (it turns 50 today). So to honor Donna, I created a party board celebrating her and it's a small world. Nesting Dolls - The dolls in it's a small world remind me of nesting dolls, so these colorful dolls would be perfect as decor placed on the food table or even as centerpieces on the dining table. 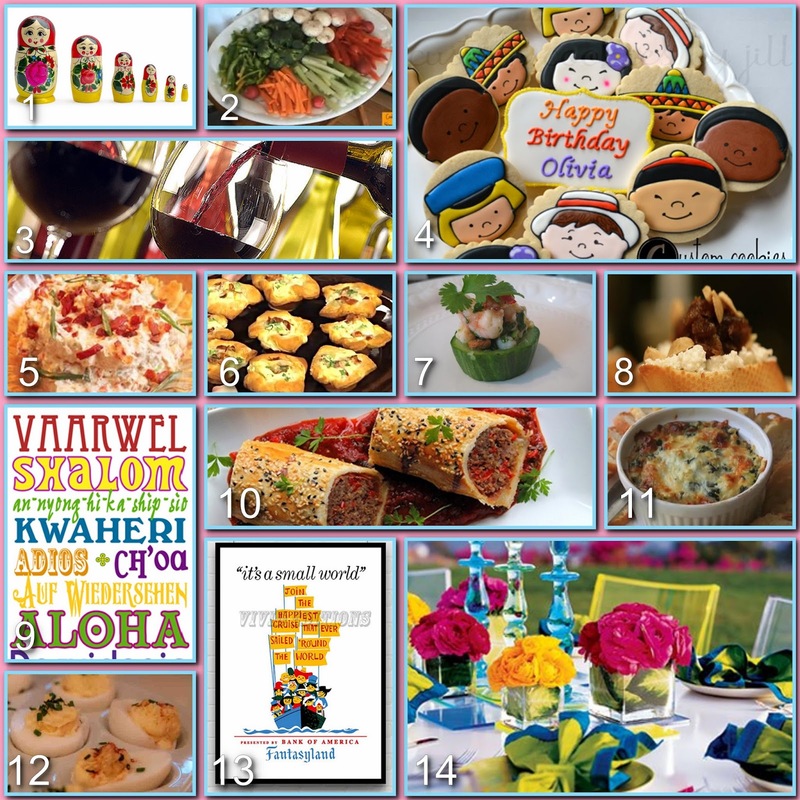 Crudites - I thought it would be fun to have appetizers from around the world as our party menu. These crudites are a nod to France, and can be a healthy addition to snack on. Wine Around the World - I know that Donna enjoys a good glass of wine, so why not have different varieties from around the world for her to explore. Doll Cookies - Trying to keep the sweets to a minimum so I decided to go with these from Jill's Custom Cookies because they are almost too cute to eat. Garlic Clam Dip - Seafood had to make a showing, and garlic clam dip will be a crowd pleaser. Onion Tartlets - The cheesy onion tartlets are a nod to Germany, and are a great savory addition to the menu. Canapes - Traditional canapes are made with a puff pastry crust, I like this twist using a hollowed out cucumber as the base. Spanish Tapas - Hola! Spain joined the party with these tapas, filled with seafood, veggies, olives and cheese they make a delicious addition. Hello/Goodbye Sign - Put this on the door for guest bid guests the perfect farewell to guests as they depart for home. Italian Sausage Rolls in Tomato Sauce - Italy makes a showing with these Italian sausage rolls - and who doesn't love a good red sauce. Artichoke Dip - A classic party food that everyone loves, serve it will chips, crackers or toasted slices of French bread. Deviled Eggs - The best thing about deviled eggs is that the flavor change easily be changed with add ins, we like bacon and jalapenos. Small World Poster - This classic poster would make the perfect backdrop to your food table. Table Setting - The beautiful colors of it's a small world really stand out to me, this colorful table setting is a nod to those happy hues. I hope you have had a Magical birthday Donna!! Can't wait for the day we meet in person and can ride it's a small world together!! As always, be sure to share your pictures in the comments below or on the Disney Donna Kay Facebook page if you use any of the ideas in today's party board. you are amazing! I adore the song- and yes, I sung it outloud! :) I also love these party ideas. I always struggle with an adult themed party. Awe, thank you Beth!! I sang it too just to be sure it would work with the tune. I try my best, sometimes I'm lucky - sometimes not so much. What great ideas you have here!! Happy Birthday Didi!!! Awe, thanks Deb! It was a pleasure to honor Donna, she's the best!